What do dog collars have to do with Yahoo Stores? 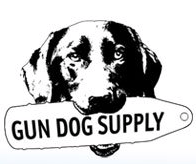 That is one of many products that Rob Snell sells at his Gun Dog Supply Yahoo store. Why should you care? How about because his 14 Years of experience increased his family store’s income by $10,354,767 – and more importantly – he is really good at teaching HOW he did it! When I needed answers about a Yahoo Store Product Feed issue, I immediately contacted Rob Snell because he is THE Yahoo Store expert. Rob and his family own a highly successful store and handle every aspect of what that takes from Web development to usability to conversion optimization to marketing. There is one key to how I do what I do: I figure out who knows the most about what I have questions on and I go directly to them for the answers I need. That is where Rob comes in and why you’re reading this post today. Just this week, Rob has shared what every ecommerce store owner (and blogger who sells affiliate products or uses an ecommerce plugin) needs to know. He tells you EXACTLY HOW he increases sales in his store. So many people are big on the “what” but don’t give you enough HOW to actually get it done. THAT makes Rob leader of the pack and leaders are the ones who can increase YOUR sales too! Increase your sales using Rob’s method for determining exactly what pages of your site generate the most revenue, how to prioritize which pages to focus on, and how to do ecommerce SEO. Monday Rob was on WebmasterRadio and shared these SEO Mistakes Retailers Make. Learn from Rob’s 14+ years of experience and be glad you’re not taking notes! Use the transcript to review and implement his tips. You NEED to know how to do ecommerce conversion optimizaton. Play and replay that presentation. Take notes. Then DO what Rob teaches you do. In the meantime, Follow RobSnell on Twitter and Friend Gun Dog Supply on Facebook to find out what he’ll be up to next. And share this post with all your favorite store owners too! I’ve been online a REALLY long time – since the www first became available – and I have been online probably 80-120+ hours a week since 2000. Rob is THE BEST I’ve ever seen with Yahoo! Stores and much of what he writes about applies to any ecommerce site and often ANY site. My boss told me that we were using Yahoo store before and the sales was good but because of the increase cost of Yahoo store, we moved to Volusion which has limited features. How I wish we return back to Yahoo store. What features does Yahoo have that Volusion doesn’t? Have you asked Volusion if they have them or would consider adding them. I have always found them very responsive to input from their store owners. Many Yahoo stores were negatively impacted by Google’s MayDay update and Farmer Panda update more than other ecommerce sites, but no matter what ecommerce platform you use you must follow Rob’s advice and have plenty of quality UNIQUE content on every page if you expect them to stay indexed in the search engines and bring you buyers. Wow i didn’t expect that yahoo stores earn so much money, i tought that amazona and ebay are biggest players down there. There are many ecommerce solutions that have many multi-million dollar small businesses on them. Amazon and eBay will have more sales than most any individual Yahoo or Volusion store, but there are ecommerce solutions that could have higher total incomes. Yahoo store is being discussed a lot these days. I wonder why? You have an informative post here. it seems it is easy to make money with it. There is nothing that is really “easy to make money with” because all methods require consistent work to develop a viable business. Yahoo stores, I didn’t know they existed. with Rob’s Yahoo Stores for Dummies. I do not believe that is accurate, but Yahoo is a PR9 site and does have substantial traffic as can be seen in their Compete and Alexa stats. Today, Alexa lists Yahoo as the number 3 site in the U.S. and 4th in the world. 1) Their shopping cart works consistently (and others did not so NEVER let anyone talk you into creating a shopping cart from scratch unless you must have custom functionality others do not support AND you are POSITIVE they are brilliant). 2) They send stores traffic and buyers which is a huge advantage especially for a new store. The trade-off is that they keep a percentage of your sales which – when they sent you free traffic – was well worth it to most merchants. Some store owners complain that now you have to pay to list your Yahoo store in Yahoo’s directories which seems counter-intuitive since they make commissions off everything you sell. Marketing Experiments publishes some excellent Yahoo Stores Case Studies on where a store would make more money and I remember a study on whether having two stores (one on Yahoo and another elsewhere) makes sense that I thought they did but perhaps it was somewhere else. Marketing Experiments: The value of a Paying to List a Yahoo Store in Yahoo Shopping. Would it be possible to submit my own e-commerce store feeds to Yahoo? I’ve done it for Google and some other portals like frogit. What about Yahoo? I found Bing portal very confusing. I am not familiar with Yahoo having anything similar to Google Product Search or independent solutions I much prefer such as ShopWiki (now in at least ten countries), TheFind, and Wishpot, but I am not nearly as involved in ecommerce as I once was. Rob may have additional information or you might try Tweeting to Yahoo Shopping on Twitter and ask them. Another suggestion with ecommerce stores is to know how to upsell. Close to one third of my online sales comes from upsells at the point of purchase. Where do most web marketers go wrong? At the point of purchase, the sell the second for a lower price. Actually, this is where you should introduce a more expensive item instead. Yes, upselling is key and so is cross-selling. Rob shares about those kinds of strategies too. Back when I managed AdWords accounts I did my best to get store owners to do that better. Offering the wrong products instead of highly related upsell products is a very common mistake. If you have a sharp WordPress expert like my JV partner Derek you can automatically add cross-sell products at the end of new posts as you can see in our Gift Blog and turn on or add additional product suggestions in a WordPress store like the ones in our Gift Store. Those are automated but in many ecommerce platforms which products appear can be manually selected and I HIGHLY recommend stores use that space to their best advantage by starting with their best converting pages and working down through all their product pages. In our WordPress blogs our CSS expert Derek creates other upgrades such as adding code that automatically features the post we most want someone to see when they search our blog posts like this one for Business Card Holders. He created a way for me to select which post I want to feature for key searches so instead of a bunch of individual short product posts we can guide our visitors into a primitive sales funnel.